Having more than sixty miles between Little River and Georgetown, the Grand Strand offers many memorable wedding venues along the way. With so many locations to choose from, deciding where to have your wedding can be tough if you're not from the Myrtle Beach area. To help guide you, I've compiled an insiders list with the top five wedding venues in Myrtle Beach and the surrounding areas. I begin my list on the south end of the strand in Georgetown; home to the magnificent landmark known as The DeBordieu Club. Here, you’ll find five wedding sites, seven reception sites and property rentals to accommodate you and your guests. This Lowcountry gem is among the first beachside communities developed along the east coast. It has hundreds of acres devoted to the preservation of wildlife with unspoiled beaches, marshland, estuaries, and ancient oak trees. The splendid beauty of The DeBordieu Club is hard to beat, and it's my favorite wedding venue on this list. Roughly twenty miles north in Murrells Inlet, lies another breathtaking wedding venue; Brookgreen Gardens. This outdoor museum boasts an impressive collection of sculpture combined with native southeastern plants and animals. Brookgreen Gardens is one of the top ten gardens in the United States. Within the property, there are four lovely areas designated for weddings and receptions. Each one is guaranteed to evoke feelings of romance among everyone in attendance. The lush gardens provide a perfect setting for an elegant wedding. Brookgreen Gardens is a beloved landmark that is cherished by locals and visitors alike. For information on how to reserve an area within the garden for your wedding or reception call (843) 235-6017 or fill out this contact form. Just across the street in Huntington Beach State Park, secluded beaches and the magic of Atalaya Castle await. Within the grounds 2500 acres, there are many ideal places to tie the knot and celebrate the occasion. If you've always wanted a gorgeous beach wedding, Huntington Beach State Park is the wedding venue for you. It has three miles of protected beaches, expansive marshland and plenty of wildlife for nature lovers to enjoy. The enchanting courtyard of Atalaya Castle is a fantastic spot to hold your wedding reception. If you want a first-rate waterside wedding in Myrtle Beach, but don't want to deal with sand, I recommend The Dunes Golf & Beach Club. This private club offers elegant wedding services, southern hospitality, and a prestigious country club setting. Their beautiful lawn overlooks the beach, and it's a traditional spot to say, "I do." After your wedding, celebrate in their magnificent ballroom, where the beach is still visible through large picture windows. Their award-winning catering team completes the experience, giving you memories that will last a lifetime. Learn more about booking this exquisite venue by filling out this contact form. For five-star service and a vintage 1920s setting, look no further than Pine Lakes Country Club. They've been hosting weddings and receptions in the heart of Myrtle Beach for 90 years. Pine Lakes was the areas first golf course ever built; locals affectionately refer to it as "The Granddaddy." In 2007, the Pine Lakes golf course and country club underwent a full restoration that spanned two years. The project surpassed the original glory of this historical landmark. Their beautifully manicured lawns are the perfect place to exchange your wedding vows and hold your celebration party. If you prefer an indoor reception, the Pine Lakes Country Club has two adjoining ballrooms complete with original wood floors, beautiful fireplaces, and elegant crystal chandeliers. This stunning backdrop offers fantastic photo opportunities for your special day. My list would not be complete without "The Granddaddy" of Myrtle Beach. Your wedding will be one of the most special times in your life and deciding where it will take place is an important decision to make. I hope this list is helpful to you in planning your special day. 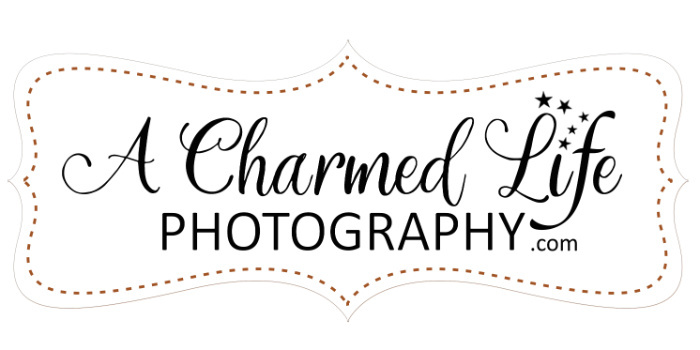 No matter which venue you choose, consider A Charmed Life Photography to preserve the moments of your wedding with brilliant high-resolution imagery. I offer services throughout North and South Carolina. Thanks for reading!